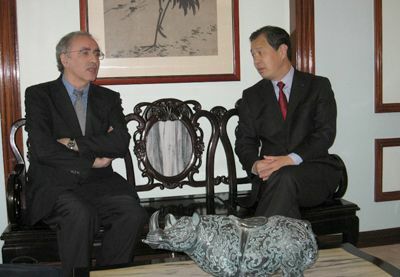 According to Xinhua news, Chinese Foreign Ministry Web site, recently, the Chinese ambassador in France, Kong Quan, invited to the French Ministry of Education as a guest by Bellassen, the two sides talked about tea, with emphasis on the history of development of Chinese language teaching in France, Features and promotion prospects of exchange of views. The following is their dialogue with the Chinese learning. Kong Quan: I remember our first meeting in more than 10 years ago, the examination room at the University of Paris. Neither is my exams, but not your exams, but our common inspection by the French Ministry of Education, in association with the HSK , then there are about hundred French students participated in the exam. This time I come to France, but also saw a HSK of the examination room, reference staff increased sharply. Bellassen: I also remember very clearly that meeting, thank you for teaching Chinese in France for support. HSK is now increasing influence in France in a growing number of examinations, but also different levels of Chinese proficiency also increased. Kong: I would also like to congratulate you, I hear you two years ago, has been appointed as the Chinese language teaching full-time Chief Inspector of Schools, which is the top foreign language teaching the French leadership. This shows that the French government agree with your competence. Bellassen: I have part-time Chief Inspector of Schools in 1998, also served as teaching. Also take into account the beginning, and later set up Chinese language courses in schools, more and more, although my energy is not a problem, but time has not been allowed. So I proposed the establishment of a full-time inspectors. Ministry of Education, which was more cautious, for various considerations, only agreed to set up regional inspectors. Although not fully meet the requirements, but I agreed, after all, was a step forward. The end of 2005, the French Ministry of Education officially informed me that the Governor will be based full-time Chinese language school. First, the Chief Inspector of Schools is responsible directly to the Minister of Education, indicating that Chinese is a few highly valued foreign language. Secondly, the Chief Inspector of Schools is appointed for life, free from ministerial changes affected the work so you can freely make recommendations to maximize the development of maintenance of Chinese language teaching. Third, this is what I as a Chinese Chief Inspector of Schools with other colleagues the difference between the Minister of Education gives me the mission is “development”, Chinese language teaching, not just supervision. This is for me to work to expand the Chinese language teaching and get policy support. I remember specifically the Ministry of Education established the Governor’s school held a press conference, Minister of Education and is responsible for equality on behalf of two cabinet members to attend the ministerial level, which is rare. In recent years the French government’s emphasis on Chinese language education continues to increase. A few years ago the National Teacher Examination qualification places for Chinese language teachers is a biennial one, and now nearly 20 per year. Kong: Chinese language teaching in France for quite time now? Bellassen: a long history of Chinese language teaching in France, as early as 1813, Collège de France on the creation of the world’s first Chinese professorships, in 1840 the French National Institute of Oriental Languages opened Chinese language courses in local universities. Course of development of Chinese language teaching in France there are two landmark event. One is the 1958 French and Mongolia on the establishment of macro high school elective courses in Chinese, marking the Chinese language into the national education system. Another is the appointment of a full-time in 2006 the French Ministry of Education, Chinese Chief Inspector of Schools, currently only English, Spanish, German, Italian, Arabic, Russian and Chinese Chief Inspector of Schools has seven kinds of foreign languages. Kong: What is the main features of Chinese language teaching in France? Bellassen: The first is scale. Let me introduce you to a few figures. In France, In 30 school districts, 27 school districts set up Chinese language courses, including many remote areas. 10 years ago, secondary school students learning Chinese less than 5 thousand. In this September, when the whole law school a total of 25600 students in learning Chinese, another 16000 students and about two thousand primary school students learning Chinese is about 44000 French students. This development is particularly evident in 2004, followed by an average annual growth rate of 20%. Today, the educational system of Chinese language courses in France, had been routed to No. 5. Teachers are also expanding from the establishment of the French Association in 1980s for less than 30 to 180 people in 1999, expanded to today’s 430. Secondly a high degree of standardization. We often use the “Chinese fever” to describe the development of Chinese language teaching, while in France, learning Chinese is not only a popular, stylish, and has been fully integrated into the national education system. 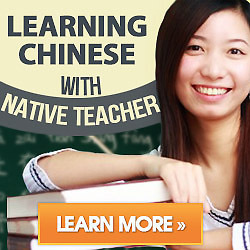 I have just mentioned the 45,000 students are learning Chinese as a regular curriculum. This regard, other European countries have only just started, you can say for sure that the France far ahead of the Chinese language. Thirdly Chinese language is continuous improving in France people. In the past, students choose Chinese language subjects are often difficult to understand by others, and now more and more parents recognize the importance of Chinese in the future. The rector, the principal become more active for Chinese language courses so that I am working much better to do than in the past.